Rs. 25 - 50 Crore Approx. Primo Automation Systems Private Limited, began its operations in the year 1995, as a manufacturers, exporters and suppliers of a highly commendable range of Industrial Machinery. The offered array is made up of the finest CNC Cutting Machines, Strip Cutting and Positioners, which have a high demand in the market. Making of this range is commenced as per the norms and guidelines of the industry and utilizing high grade raw materials and modern machines. Owing to this, the offered range has its standard of quality maintained. In addition, these reasonably priced products, is considered to be amongst the primary preferences in the market. The highly developed state-of-the-art infrastructure at Primo Automation System Privet Limited, has been equipped with all the necessary machinery and equipment, which facilitates the firm’s targets. Regular up gradation of the facility, help us in maintaining our position in the market and to maximize our production capacity. We have parted the facility into a number of units, in order to manage the operations of the firm with high level of efficiency and effectiveness. Further, our highly ethical work practices and client centric behaviors, have helped us in generating a huge client base. 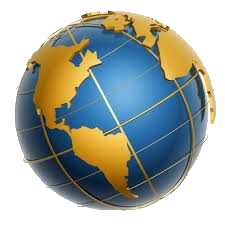 We exports our products in Australia, USA, Dubai, UAE, Oman, Africa and Ghana. P.Rajagopalan and C.Balasubramanian, Founding Directors of Primo, form the Board of Directors of Primo. The two dynamic and experienced engineering professionals are Primo's main asset. Between them they have more than three decades of work experience in reputed Multi national companies with vast experience in the fields of Welding, Metallurgy, Electronics and Mechanical Engineering. Rajagopalan is an Electronics Engineer and Balabsubramanian is a Metallurgist. These professionals have brought in a high degree of professionalism and knowledge expertise into Primo. Standing testament to this is the fact that Primo has experienced a twenty-fold growth since its inception. We at Primo Automation System Privet Limited, consider quality to be something of high importance. Thus production process involves the utilization of high grade raw materials and modern machines, as per the norms and guidelines of the industry. This ensures the product’s strength, capacity, performance and service life. In addition to this, post manufacturing, the products are sent for a number of quality examinations, where all manufacturing defects are eliminated, with high level of precision. Primo was founded by Mr. P. Rajagopalan and Mr. C.Balasubramanian. They are dynamic & experienced engineering professionals having working experience in the field of Welding, Electronics, Metallurgy and Mechanical Engineering. These professionals have brought in high degree of professionalism and knowledge expertise into Primo. Due to their hardwork and dedication, Primo Automation Systems has experienced twenty-fold growth since its inception. Mr. P. Rajagopalan is an Electronics Engineer. The highly advanced state-of-the-art infrastructural facility at Primo Automation System Privet Limited, has been parted into several highly operational units, in order to manage the firm’s operations, with high level of smoothness. The facility, for reasons of facilitating several of the firm’s predefined goals and targets, has been equipped with all the necessary machinery and equipment. In addition to this, the facility is regularly upgraded, in order to extend our reach in the market and to boost our productivity. "Our mission is, to become a globally acclaimed organization in the field of design, manufacture & marketing of Welding Automation systems and solutions by the year 2015." Established in 1995, Primo Automation is today a forerunner in the field of welding automation in India. Primo was founded with the basic aim of exploiting the tremendous potential that was held by way of the vacuum in the field of welding automation in India. Primo has manufactured a number of automated welding solutions for Gas Tungsten Arc Welding (GTAW), Plasma Tungsten Arc Welding (PTAW), Submerged Arc Welding (SAW) and Gas Metal Arc Welding (GMAW) processes. Primo has also executed a whole range of welding automation solutions from simple mechanizations to turn key plant automations with sophisticated computer controls and on-line data logging systems. 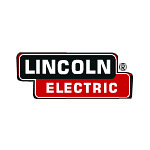 Primo enjoys the unique distinction of being the ‘Preferred Supplier’ for Lincoln Electric Company (Asia-Pacific) Pty.Ltd., in India. Our team of skilled and qualified professionals at Primo Automation System Privet Limited, is a major reason behind the firm’s success. These professionals with utmost dedication, facilitates the firm’s targets. In order to manage the team’s operations, the professionals have been sorted into several units. In addition to this, the team is provided with regular training sessions, in order to keep them at par with the ever changing market. We are one of the finest manufacturers, exporters and suppliers of this commendable range of Industrial Machinery. For reasons of living up to this reputation, we utilize the finest raw materials and machinery, as per the standards of the industry. This ensures the product’s capacity, performance, strength and service life. In addition to this, the product is packed in a commendable manner, is priced quite reasonably and delivered in the most punctual manner. Neco Schubert & Salzer Ltd.
Schwing Stetter India Pvt. Ltd.
Vasan Engg. Industries Pvt. Ltd.